You are here: Home / Finance / Frugal Christmas Traditions! 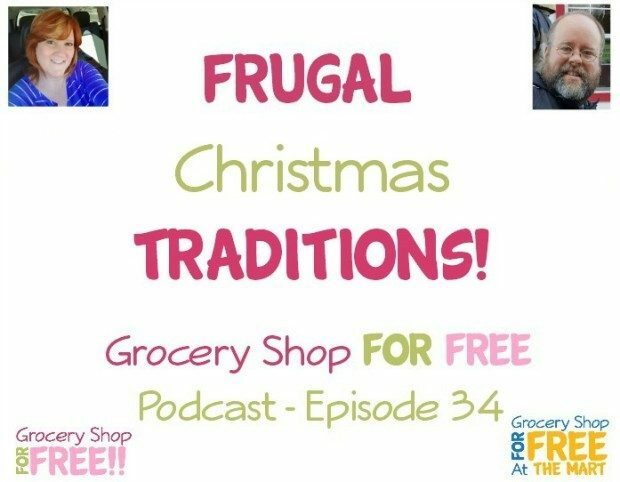 The Grocery Shop for FREE Podcast is up! This week we are discussing frugal ways you can make great memories and traditions with your family around Christmas time and then we break down this week’s best deals. Remember to subscribe to us on iTunes or Stitcher! Go Looking at Christmas Lights – Take the family around the city to look at all the beautiful lights. Pack some snacks and make a night of it. Google “Best Places to Look at Christmas Lights in [Your City]” if you are unsure where to go. Watch Christmas Movies – Whether you watch the same movie every year or a different one, it’s great to have the family huddled up and watching something great like “Miracle on 34th Street” or, my personal favorite, “Die Hard”. Here is a list of Christmas Movies available at Walmart. Go Christmas Caroling – Print the lyrics to a few favorite Christmas Tunes and hit the streets in your neighborhood. Knock on the door and belt out an old standard. Decorate Your Tree – Make this a big deal with each member of the family helping to put the tree up and get it decorated. Make Christmas Ornaments – Gather the family around the kitchen table for an arts & crafts session. You can take a look here for some ideas or try Dian’s Peppermint Ornaments. Christmas Breakfast – Make a special breakfast every Christmas. It can be Christmas Pancakes, Monkey Bread, a Coffee Cake or whatever your family will enjoy. Just make it out of the ordinary and special. Read the Christmas Story – Read the Bible passage found in Luke 2:1-20. It’s a great reminder of why we celebrate.